There are times when it is helpful for you as a business to receive a payment in advance for the services that you are going to offer. When those times come, an advance payment invoice template can help you get the job done in a simple and professional manner. 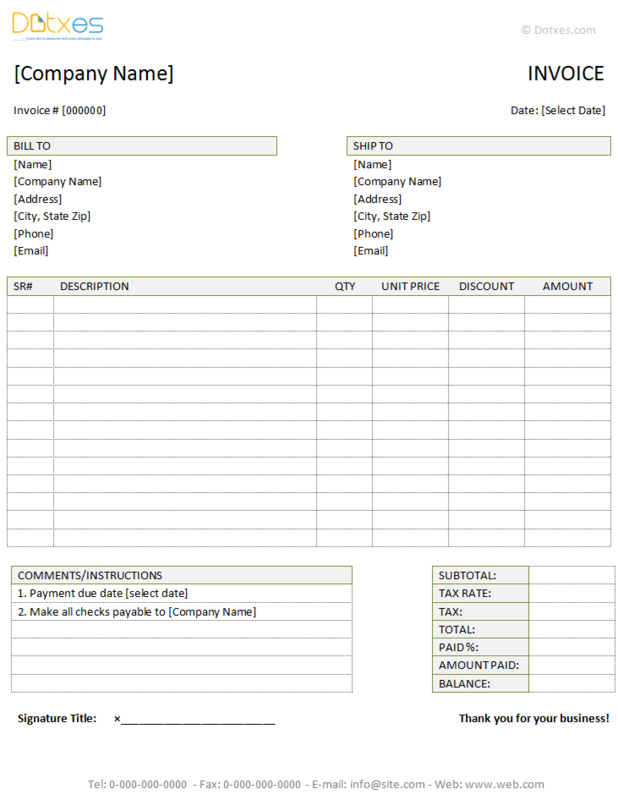 This advance payment invoice template was designed to be applicable to all types of businesses and anyone who is looking for a professional way to bill their customers in advance. This basic invoice was created in Microsoft Word, and it allows you to bill your customers in a simply yet professional way. All you need to do is update the paid % and amounts fields when using it for advance payment. This template is available in light gray as it is, but you can update the colors and overall look to fit your business’s needs by going to page layout > themes, colors, or fonts. If you would like to add more description rows before the total amounts, you can do this by selecting that number of rows above the subtotal field – for example, if you want to add three more rows, then you can do that by selecting three rows from above the subtotal field – then right click after selecting, and click “insert”. Always be sure to make your payment policies clear before you start any projects or accept any new customers or clients. Accept as many payment types as you possibly can, allowing your services to be available to a wider range of people. Apply the same payment policies to every customer, even when you are working for friends or family. If a customer offers to pay early, don’t turn them down.